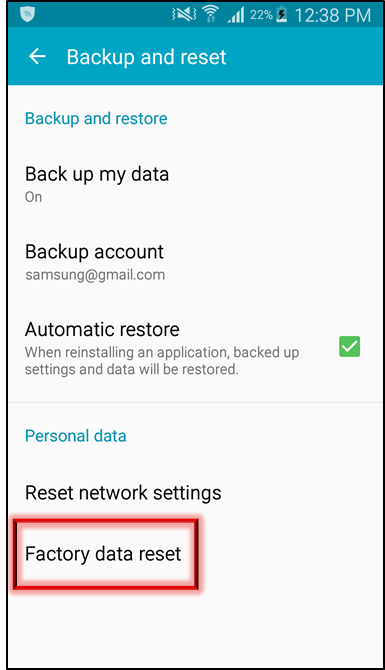 There are lots of reasons why you might want to Factory Reset your Samsung device. Whether you're giving your phone to someone else and you don't want them to access your information, or maybe you're having trouble and need to start from scratch. Factory Resetting a mobile device is not reversible. Please make sure all of your information is saved to a back up somewhere else before attempting to reset your phone or tablet. Check out our guide How do I back up my data? 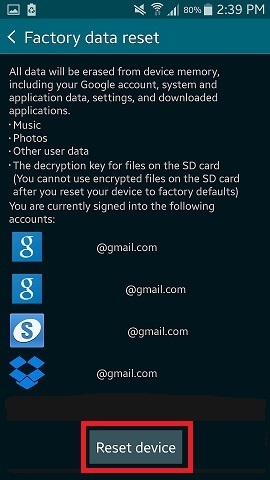 for step-by-step instuctions on backing up your information on your Galaxy smartphone. 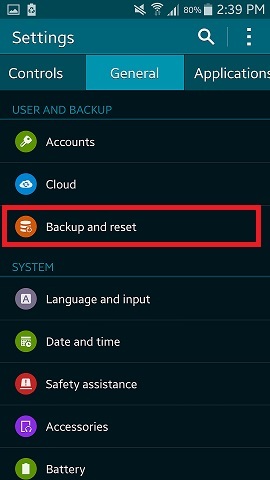 Select from the dropdowns below for steps to Factory Reset your device. They're organised by Operating System so the steps will be easy to follow. If you're not sure what Operating System your device is running, you can find the steps to find out on our page What Android OS Version is my Mobile device running. Please Note: Performing a Factory Data Reset will erase all personal data and downloaded apps. Please ensure that you have backed up all your data. 1 Swipe up on the Home Screen or tap on Apps. 3 Scroll down and then tap on General management. 5 Tap on Factory data reset. 6 Scroll down to the bottom and tap on Reset. 7 Confirm that you understand about all data being lost and cannot be recovered. Tap on Delete All. 8 Enter your Samsung Account Password and tap on Confirm. 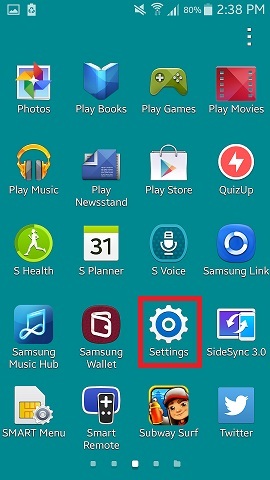 Please note: It will only ask for your Samsung Account Password if a Samsung Account was set up on the device. 1 Go into the Settings > Backup and reset. 2 Tap on Factory data reset. 3 Tap on Reset Device. 4 Enter in your lock screen credentials and then tap on Continue. 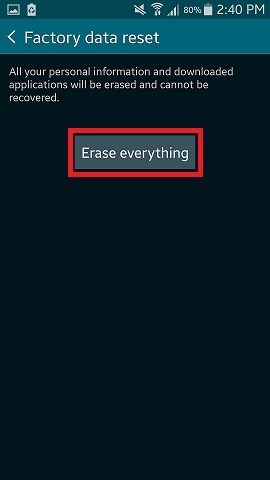 5 Confirm you understand that all data will be erased by tapping on Erase Everything. Your device will restart and begin the Factory Data Reset. 3 Navigate to the General tab. 4 Tap on Backup and reset. 6 Tap on Reset device. 7 Tap on Erase everything. If you're trying to reset your device because you've forgotten your lock screen security, there are a couple of options to reset your device remotely. With both of the following options however, the device needs to be turned on, and it needs some kind of network connection; whether it's connected to a Wi-Fi network or mobile data. If you're locked out of your device it will mean you'll only be able to restore information that has already been backed up. Both of these methods will require you to log into your Google account when the device has reset. This security is built in to keep your device and information safe - if your phone is stolen, a simple factory reset will not allow anyone to use your device or gain access to your accounts or information. 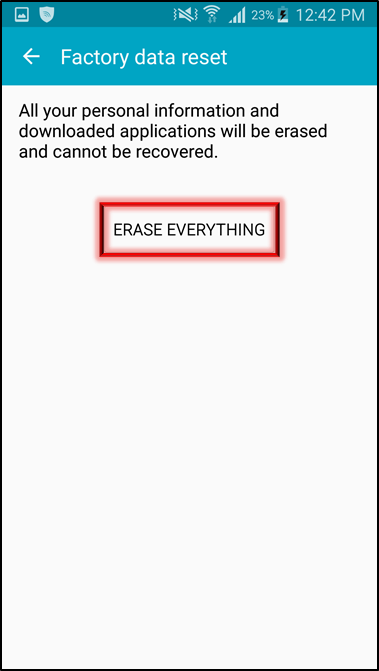 If you have a Samsung Account already logged into your Samsung device, you should able to use the Find My Mobile service to remotely Erase the information from your device. 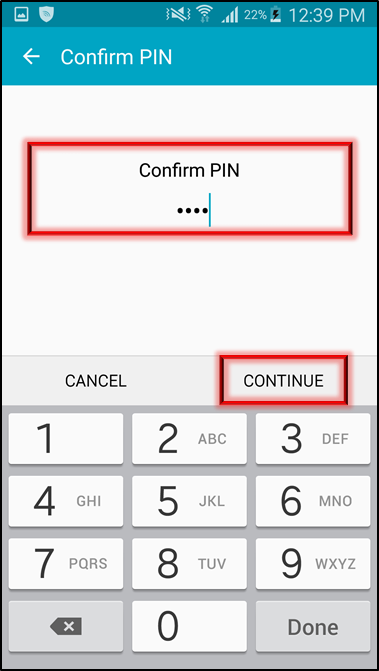 You'll need your Samsung Account credentials and the device will need to be connected to the internet for the prompt to send to the device. If you're not sure what your credentials are you can try to Find a Samsung Account ID or Reset the Password. 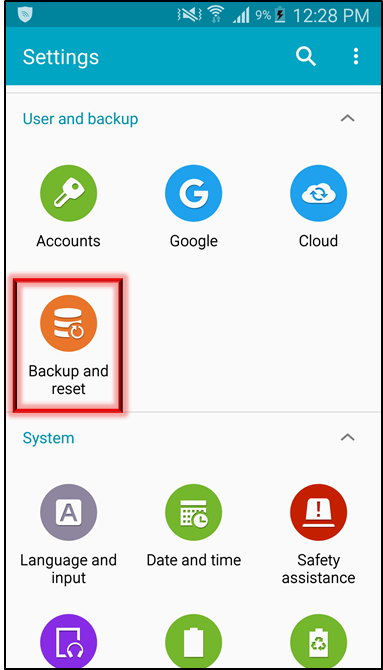 The last option to Factory Reset a Samsung phone or tablet is to enter Android Recovery mode on the device and force the device to wipe all data. Using the physical buttons on the device, you can hard reset a device this way if you're locked out and can't wipe the device remotely. Please make sure you have the Google account (@gmail email address and password) ready to log back into the device once the reset has completed. 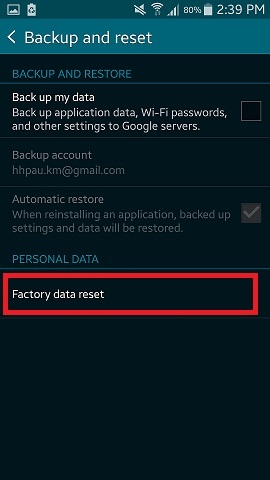 Check the page on Google Factory Reset Protection for more information. 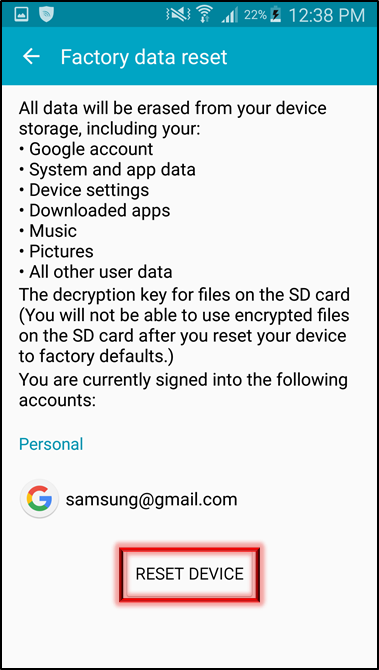 If your device is running Android OS 5.0 or older, please see the page Samsung Reactivation Lock as you may need to enter your Samsung Account credentials to use the device after a Factory Data Reset. IMPORTANT: Follow these steps carefully; a wrong move could cause a serious corruption to the software on the device that may be irreversible. If your device is locked and you're unable to turn it off, you can wait until the battery runs down and attempt the reset of these steps after charging it back up. Leave the device turned off. 2 Press and hold the Volume Up, Power and Home/Bixby buttons at the same time. Home key is the button in the middle on the front of the device. 3 Let all 3 buttons go when the device shows a screen that says Installing System Update . 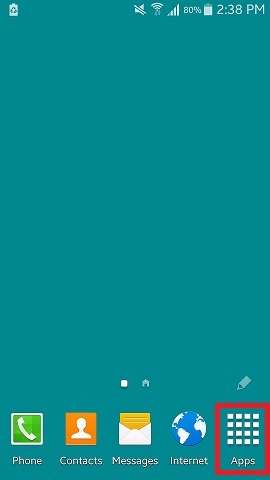 Depending on the device this screen might be blue, and there might be an Android icon. Wait for this screen to change automatically. 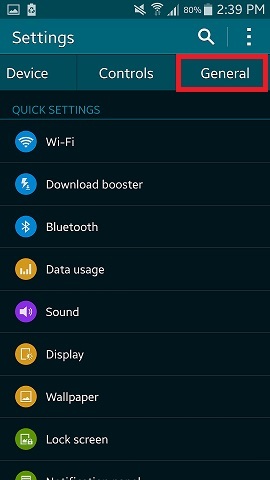 4 Use the Volume Down button to move the blue highlight to the option Wipe Data/Factory Reset (this will be the 5th option down on most devices). 6 Use the Volume Down button to move the blue highlight to the YES option, and press the Power button again to select Yes. Depending on how much content is saved on your device, it can take a long time for the device to turn back on. If it takes longer than 15 minutes or won't turn on at all, please contact the Live Chat Australia team or call 1300 425 299 (Toll Free in Australia) for further assistance.